Dorothy M. Lattanzi age 83, of Ashland, died Tuesday February 25, 2014 at the Hospice House. She was born June 4, 1930 in Masontown, PA., the daughter of George and Bessie (Dugan) Whyel. Mrs. Lattanzi had been a resident of Ashland County for the last 54 years. She had been employed with National Latex for 26 years before retiring in 2003. 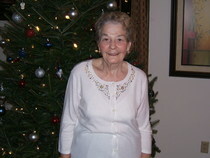 Dorothy was known to be very friendly, generous and loyal to all of her family and friends. On October 23, 1954 Dorothy married Attilio Lattanzi who survives. Also surviving are her sons and daughters in-law, Attilio L. and Janet Lattanzi of Richardson, TX., Thomas and Elaine Lattanzi of Ashland; her grandchildren, Gregory (Ashley) Lattanzi of Marysville, Christina Lattanzi of Medina; her great grandchild, Makenzie Lattanzi of Marysville; along with numerous nieces and nephews. Dorothy was preceded in death by her parents; sisters, Wanetta VanBremen, Wanda Whyel; brothers, George Whyel, Eugene Whyel, and Bill Whyel. Funeral services will be held at 10:00 A.M. on Saturday March 1, 2014 at the Heyl Funeral Home with Pastor Don Earlenbaugh officiating. Burial will follow at the Ashland Cemetery. Friends may visit with the family on Friday February 28, 2014 from 6 to 7:00 P.M. at the funeral home. In lieu of flowers the family suggests memorial contributions may be made to Hospice of North Central Ohio 1050 Dauch Dr. Ashland Ohio 44805.